*This post was written in collaboration with the wonderful people over at Follain. Having pretty much cleaned up my family's act as far as bath and body beauty products are concerned, I tried to focus on our haircare products. I'd stocked up for what seems like years worth of shampoos, conditioners and styling gels, mousses and sprays... well, it has taken me a long time to go through them. Even though I am of the belief that we should be using cleaning and natural hair care products, I am also of the belief that we shouldn't waste things either, so yeah, that's been a double edged sword. There are a couple of things that I've done that have made my hair healthier, stronger and have helped me ease our family into using quality products that will last us a long time. Find Similar Replacements: You likely have your favorite products. You've been using them for years because they work and they've served you well. Think about what it is that you like so much. Is it the way your hair shines after you use that specific shampoo? Does the hairspray hold your hair in place like whoa? Whatever it is, you can find a clean replacement, I promise you. You may need to try a couple times but luckily, you can find many brands doing smaller sizes for you to try first. 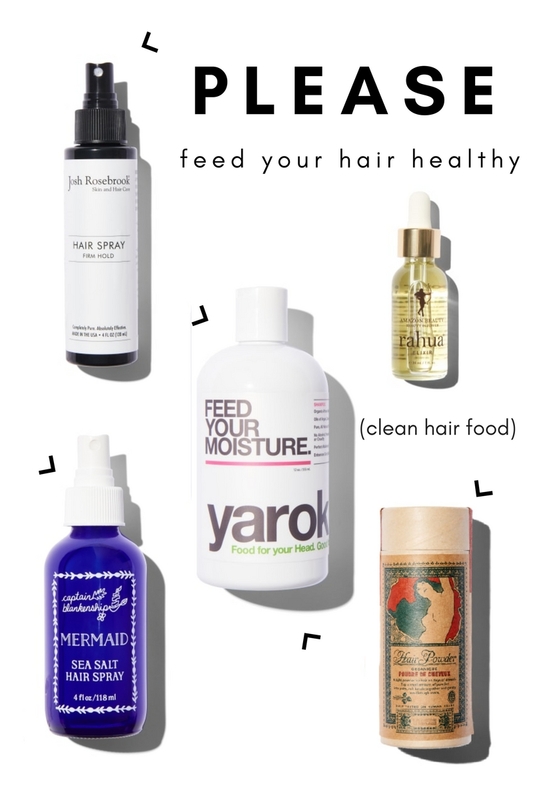 I love Josh Rosebrook Firm Hold Hairspray and Yarok Feed Your Moisture Shampoo and I totally feel like I didn't trade any effectiveness by going natural. Wash Your Hair Less: I know, seems gross, right? But not actually. I used to wash my hair every single day, but guess what? You don't need to. We all have different hair types so how many washes per week may vary but for me, I can go at least 2-3 days between washes, especially if I have dry shampoo on hand. I love the Lulu Organics Lavender and Clary Sage Hair Powder and Florapothecarie Dry Shampoo for those days that I don't feel like washing- just style as usual! Plus, this is a great way to keep from using more shampoo and conditioner than you need to. Have Fun and Experiment: Just like finding your favorite products has always been, don't be afraid to branch out if something seems to not be working for your hair. There are so many brands making such great products that you'll surely find the thing that makes your hair shine/ or boosts the volume/ or adds moisture/ or makes it feel silky smooth. Try Captain Blankenship Mermaid Sea Salt Spray for the most perfect beach waves or if you reeeeally want to treat your hair, snag Rahua's Elixir! Do you have any tips on keeping your hair clean by using clean products? I Tried It: Kaliks Collective + a Giveaway!